Meringue (beze) is the most popular dessert, especially for kids. 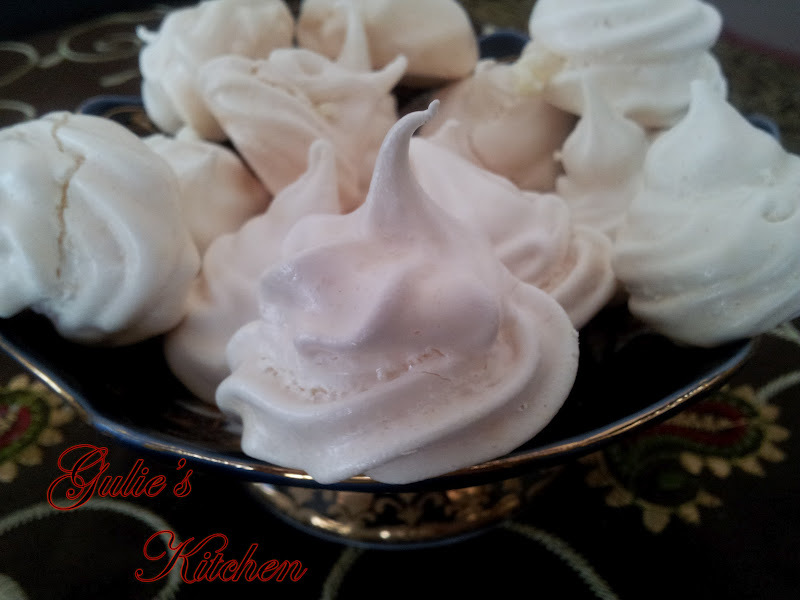 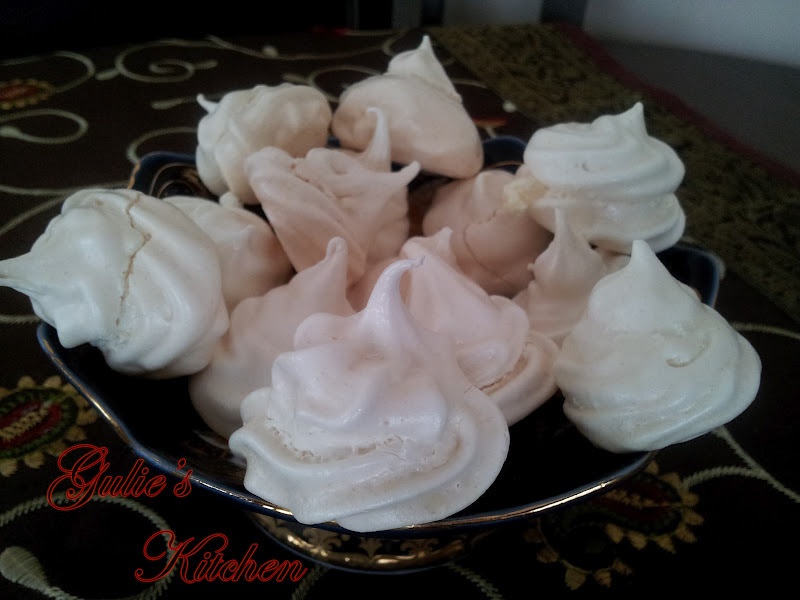 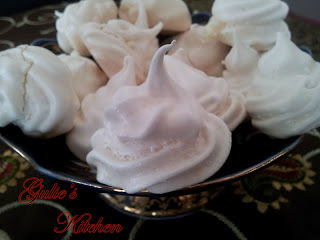 And there many different recipes of desserts by using meringues. Next time I'll try to post cake which absolutely will consist from them. But now bezes: you'll need: 3 egg whites and 3/4 cup of sugar. 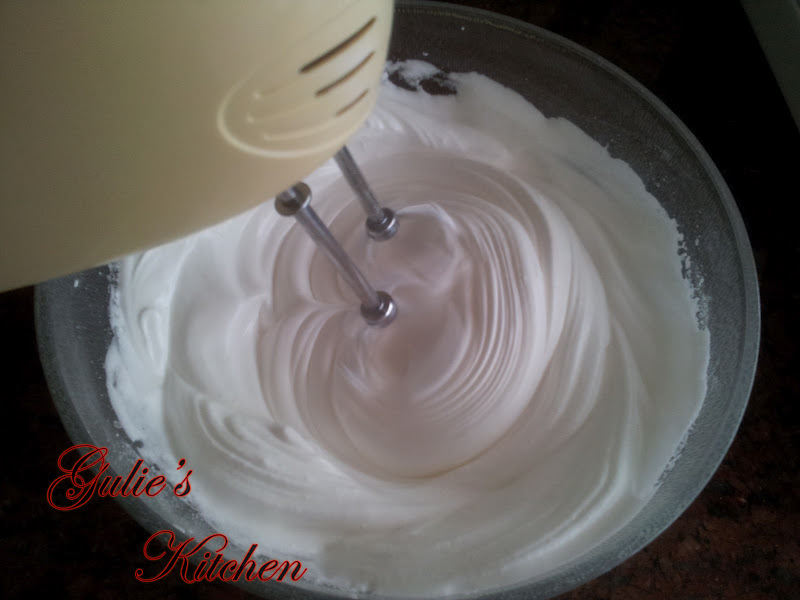 Separate egg whites from egg yolks, then put egg whites to the mixer bowl and start beating them up on a high speed (make sure what mixer bowl and mixer attachment are absolutely clean and dry, even 1 drop or water or oil can ruin meringues). 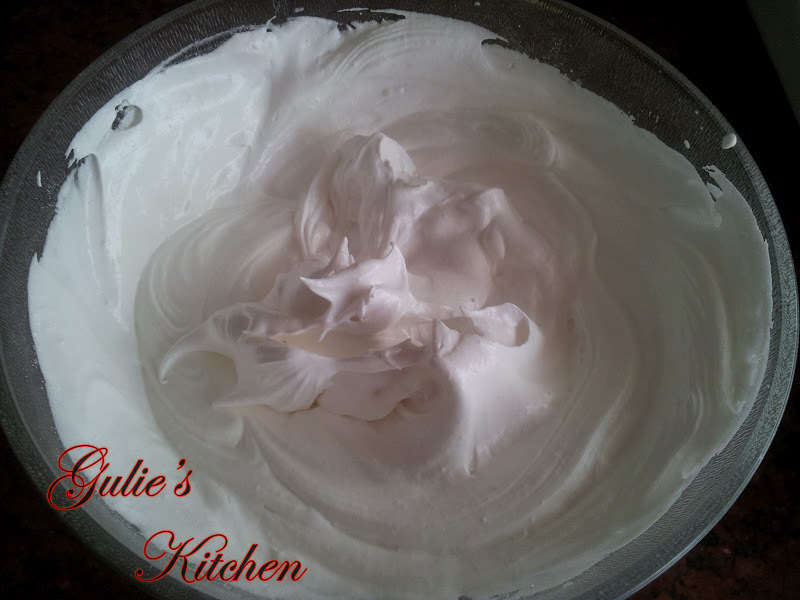 Beat egg whites until they form solid white foam about 3 times volume of the initial egg whites. 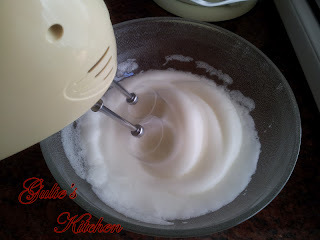 Then start adding sugar, spoon by spoon, and continue beating. 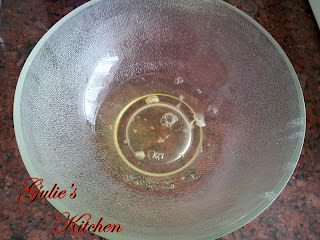 Beat until all sugar is mixed in and completely dissolved. 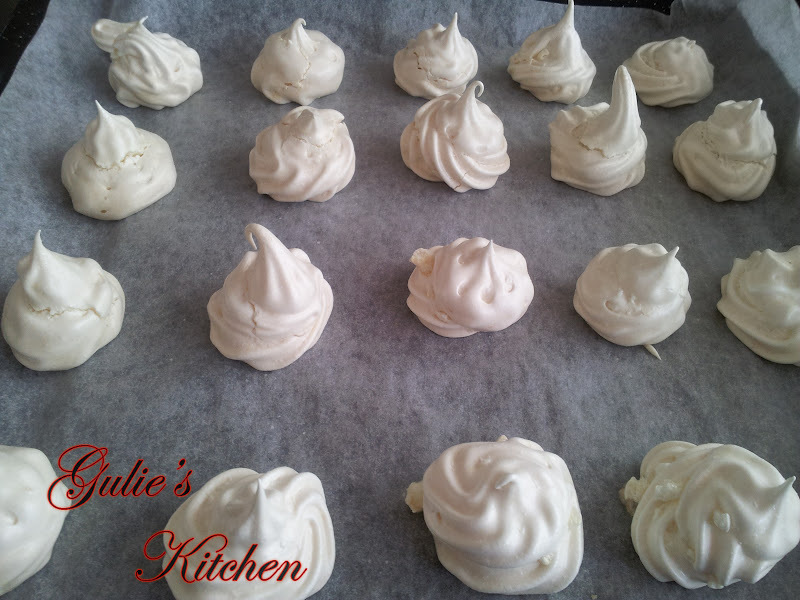 Lay shallow baking pan with a sheet of parchment paper, warm oven up to 100° C. Using spatula carefully (filling is sugary and therefore sticky) fill the pastry bag with enough of the filling and tie ends. Put baking pan to the oven warmed up to 100° C and let meringues dry for 1-1.5 hours, depends of the size of cookies it may take longer to dry (the bigger they are the longer it takes). 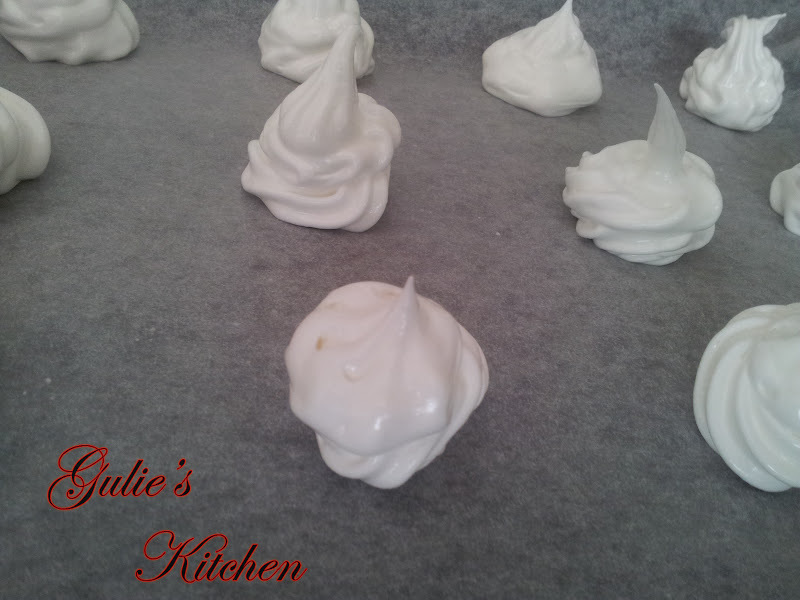 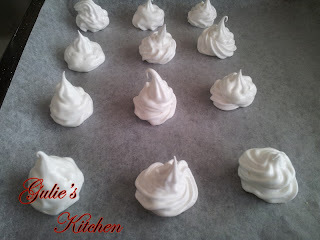 Once ready, remove baking sheet from the oven and let meringues to cool down. 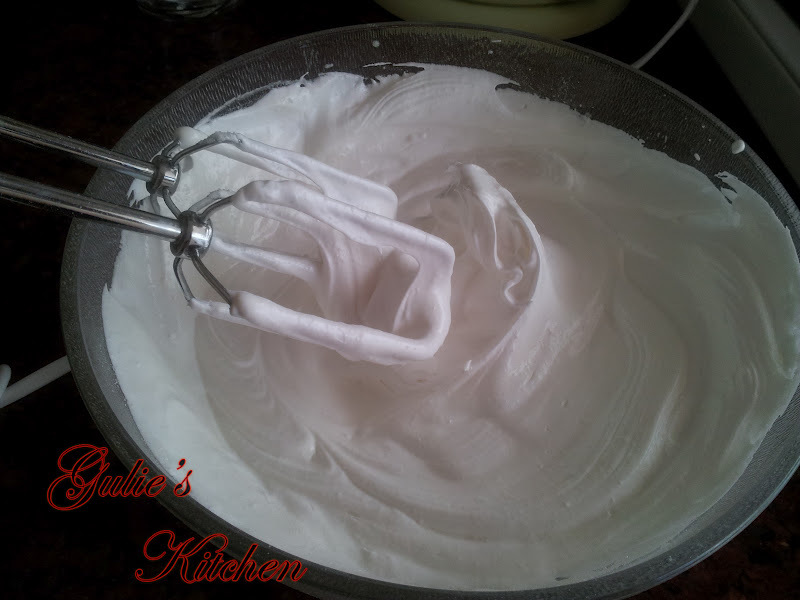 Ready cookie should be easy to separate from the parchment paper, they should be crispy from outside and inside when you bit it and it should not stick to your teeth.